Archives : SO NEAR, YET SO FAR - 21/04/2011. SO NEAR, YET SO FAR – 21/04/2011. The market behaved in a copy book style; when it tested the supports and bounced back from there and tested the resistances without breaching them. It was a classical support zone formed by the convergence of the long term average 200dma, medium term average 100dma and short term average of 20dma. The resistance zone as expected was formed by the strong supply trendline and the 61.8% retracement of the entire recent fall for both the indices. The market thus respected both Support zone and Resistance zone mentioned in the last weeks article, without breaching any. The market is decisively placed near the higher side of the trading range and is itching to make a strong move in any one direction. The market has tested the Resistance zone almost four to five times in the last two weeks without breaching that zone and is experiencing a case of being so near, yet so far. But this time it seems to be more inclined towards an upward breakout. The Sensex opened the week at 19389 made a high of 19695, a low of 18976 and closed the week at 19602. The Sensex gained 216 points on a weekly basis. Similarly Nifty opened the week at 5824, made a high of 5912, a low of 5693 and closed the week at 5884. The Nifty too closed with a gain of 60 points on a weekly basis. On the weekly charts, both the indices have formed a white body candle with a long lower shadow. This long lower shadow is representative of the fact that there exists strong Buy zone at lower levels. On the daily charts Sensex has formed a Bearish Star formation, whereas Nifty has formed a Bearish Doji Star formation. If we consider the last three days candle, then both the indices have formed a Deliberation pattern which is a special case of 3 White Soldiers. The difference being, this pattern has occurred in an uptrend and is a Bearish Reversal pattern. This pattern means that the current upmove has been stalled and will be negated only if market manages a close above Sensex 19695 and Nifty 5912. A short term Bearish reversal will be in place if we have a Bearish candle formation on Monday. The market is trading well above the long term average of 200dma (Sensex – 19104 and Nifty – 5735), medium term average of 50dma (Sensex – 18585 and Nifty – 5573) and short term average of 20dma (Sensex – 19262 and Nifty – 5784). As a result, the long term, medium term and short term trends continue to be up. The market is continuously testing the 61.8% retracement level of the entire fall of Sensex from 21108-17295 and Nifty from 6338-5177. These levels are 19651 for the Sensex and 5894 for the Nifty. The market needs to stay consistently above these levels and only then will it be able to take a shot at the previous high. Both the indices gave a Bullish Breakout for Rising Channel formation. The targets for Rising Channel pattern breakout are Sensex 20340 and Nifty 6095. The Channel Top (Sensex – 19319 and Nifty – 5780) will act as a support whenever the prices fall. If the market manages to close above the recent high of Sensex 19811 and Nifty 5944, then we will have a Flag breakout in place and the target for that will fall at Sensex 20995 and Nifty 6289. For the second week in a row, the market tested the 200dma, 100dma and 20dma, which were placed very close to each other last week, and bounced back after taking support at these averages. Hence the same averages i.e. 200dma, 100dma and 20dma will continue to provide support to the indices for the coming week as well. 20dma (Sensex – 19262 and Nifty – 5784) is in close vicinity of the Rising Channel Top (Sensex – 19319 and Nifty – 5780) and thus Sensex 19319-19262 and Nifty 5784-5780 will act as a first support zone. Below this the low made last week i.e. Sensex 18976 and Nifty 5693 is close to the 200dma and 100dma. Hence we have a strong second support zone between Sensex 19104-18976 and Nifty 5735-5693. Similarly the top made two weeks back (Sensex 19811 and Nifty 5944) has not been surpassed despite being tested several times. 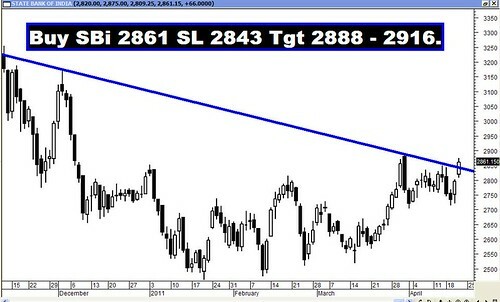 This resistance is further strengthened by the supply Trendline falling at Sensex 19675 and Nifty 5907 and 61.8% of the entire fall i.e. Sensex 19651 and Nifty 5895. 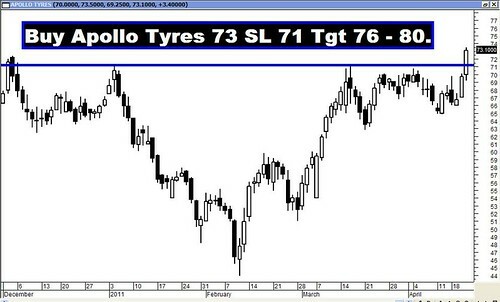 Thus 19651-19811 for the Sensex and 5895 – 5944 for the Nifty is likely to provide strong resistance going forward. MACD is in Sell mode despite being in positive zone, whereas RSI at 60, is moving higher after bouncing back from 50 level mark. ROC has signaled a Buy and once again started to move upwards. Money Flow (58) fell after reaching overbought territory but still continue to be in Buy territory. OBV too continues to be in Buy mode. Stochastic oscillator has given a Buy signal as %K has cut %D from below. The Directional Indicators are in Buy mode as +DI continues to be above –DI. The ADX at 28 suggests that the uptrend is gaining strength. Nifty O.I. PCR has improved to 1.42. For the next month series, strong Put buildup is seen at the strikes of 5700 followed by 5600, which suggests presence of strong support between 5700 and 5600. At the same time, highest Call writing is seen at the strike of 6000. Thus the Nifty is likely to face strong resistance around 6000. The Trendline Resistance for the Sensex is at 19675. The Trendline Support is at 19319. The Trendline Resistance for the Nifty is at 5907. The Trendline Support is at 5780. For the week ahead, Sensex will find Support at 19340-19074-18794 and will find Resistance at 19836-20084-20332. For the week ahead, Nifty will find Support at 5801-5721-5634 and will find Resistance at 5944-6011-6073. Once again all the recommendations did well to achieve their targets except Uco Bank. The star performer for the last week was Jubilant Foodworks which went up by a whopping 12%.